William Cullen Bryant was born on November 3, 1794 in the rugged hill country of western Massachusetts. From the time he entered this world he showed remarkable powers of mind. He could read by the time he was two years old, wrote verses at nine, and when barely eighteen wrote his most noted poem, “Thanatopsis,” now one of the world’s classics. Bryant studied law in Massachusetts and was admitted to the bar in 1815. On January 11, 1821, Bryant, still striving to build a legal career, married Frances Fairchild. He relocated to New York, where in 1825 he followed his passion for writing and became editor of the Evening Post. Within two years, he was Editor-in-Chief and a part owner. He remained the Editor-in-Chief for half a century (1828–78). Eventually, the Evening-Post became not only the foundation of his fortune but also the means by which he exercised considerable political power in his city, state, and nation. While much time was spent building up one of America’s largest newspapers, Bryant still found time to study nature and to write so many poems that we now think of him as a poet, not as an editor. He chose American subjects taken from his own surroundings: the scenes of his boyhood, the flowers, birds, and hills of his old New England home. He found pleasure in the simplest things, and he wrote about this pleasure in the simplest way. “The Yellow Violet” is one example. That made the weds of April bright. Bryant died in 1878 of complications from an accidental fall in Central Park. Violet Tea and serve with Violet Shortbread Cookies. When I read aloud to my elementary aged child, he acts like he hears me but isn’t really listening. He seems to have no comprehension of what has been read. How do I foster good listening skills, enabling him to better understand what is being read? You are not alone! Listening is one of the least practiced learning skills. Making listening, not just hearing, a habit at a young age will greatly help children in all areas of life. It requires concentration, which requires work on the part of both the parent and child. We will discuss the duties of each. Distractions will interfere with listening. We can’t always eliminate all distractions, and children will need to be able to focus on listening even with distractions, but minimizing them until listening becomes habit will be beneficial. Reduce noise – Turn off television and radio, close windows if traffic noise is a problem, or wait until the baby is taking a nap. Comfort – If a room is too hot or cold, it is hard to focus on listening. Likewise for hard, uncomfortable furniture. Avoid hunger – A hungry child is an inattentive child. Save your story time for right after breakfast or lunch. Enthusiasm is contagious, but so is a lack of enthusiasm. Start your story time with a spirit of excitement and adventure, not drudgery, and your children will usually respond in kind. Continue with this enthusiasm as you read, using voice inflection and facial expressions. If a child does not see a topic as relevant to him, or something he can understand, the interest, and therefore the attention, wanes. The sources of interest will vary with the genders and ages of your children. Find out what your child’s favorite stories, settings, and/or characters are and make use of them. Allow him to help choose the books for your story times. The objective here is to develop a habit of listening. Once that habit is established, you can try to broaden your child’s interest range. As the saying goes, a picture is worth a thousand words. Books with well done illustrations will usually interest a child, giving him the desire to listen to the story. Another way to tempt your child’s curiosity is the use of Jackdaws. Jackdaws, named after the gathering and hording birds, are collections of items related to a specific topic. For instance, Jackdaws for Just Plain Fancy may include eggs, a peacock feather, an Amish quilt, toy, or doll, and/or a map of Pennsylvania. Jackdaws for Song and Dance Man may include dress-up props such as fancy clothes, hats, or canes, a bag of cedar chips, a silver dollar, and/or an old Charlie Chaplin DVD. Set the Jackdaws out before you start the story, and ask the child to guess what the book is about based on the items. Before you even begin to read to your children, it is important that you have their attention. Study their faces to make sure that mentally they are there and ready to listen. If you lose their attention while you are reading, pause until you regain it. Younger children have shorter attention spans than older children, and you should make every attempt to not exhaust their attention. It is better to have a few short periods of complete attention than to have a longer period without focus. A sure-fire way to assure a child’s lack of listening is to read books that are beyond his ability. The purpose of reading is to communicate a thought. If the child can’t understand the words used to express that thought, he will quickly get lost and lose interest. Most of the unit studies at Homeschool Share include vocabulary to help children better understand what is being read. Let your child know it is ok for him to stop you if he doesn’t understand a word or idea, and then take the time to explain it to him. Illustrations, Jackdaws, or other visual aids will also help communicate the meanings of words. Partner read – You read a page (or a sentence, paragraph, etc. ), then your child reads. Your child will pay attention in order to know when it is his turn to read. Game – You can play a game while you read. Choose a word that appears often in the story, and challenge your child to shout out “I’m listening!” every time you read the word. Ask Questions – As you are reading, pause to ask your child questions. Examples include: Did you ever feel that way? What would you do if you were ____________? What do think will happen next? Feedback – Let your child know that you will expect feedback at the end of the story. This will impart to the child a sense of duty to listen. One of the most effective forms of feedback is narration. You will find some great suggestions for narration starters here. Narrations will reveal how much your child is listening, comprehending, and retaining. Distractions will interfere with listening. Your parent will try to minimize distractions, but you can help! If there is anything distracting you from listening to a good story, like noise, hunger, or discomfort, let your parent know! You will need to learn to listen even with distractions, but let’s make good listening habit first. Start your story time with a good attitude and an open mind. Stories are wonderful ways to see how other children live, so sit back, eager to learn, and enjoy. While parents will try to pick stories that are interesting, sometimes we miss our mark. You can help by telling your parent what interests you, and help to pick out the books. It can be hard sometimes, but you will need to train yourself to pay attention. Try to catch yourself if you start daydreaming or losing focus while being read to. Challenge yourself to make it all the way through a story without getting sidetracked. Expect your parent to stop reading if she notices you aren’t paying attention. Listening is more than just hearing. The reader’s voice, facial expressions, and hand gestures will add more to the story than words alone could tell. Listen with your ears, eyes, and mind. Think about what is being read. If you don’t understand a word or idea, tell your parent so they can stop and explain it to you. Ask your parent to go back to the part that you didn’t understand to review it again. You want to get the most you can out of the story! Be a doer! Actively participate in story time by offering to help read, and by being ready to answer questions asked of you. This is your chance to tell how you feel about the story, how it relates to you, or how you would have written it differently. when child and parent work together! We have another year’s worth of Tea Time studies! January is National Hot Tea Month. We are celebrating with another compilation of all Homeschool Share’s Tea Time studies. For those of you who have not utilized the studies, now is as good a time as ever to resolve to begin planning Tea Time Studies with your children! And here are Poet Tea Time Timeline Pieces for the above poets. And here are Artist Tea Time Timeline Pieces for the above artists. And here are Composer Tea Time Timeline Pieces for the above composers. If you are looking for tips on how to implement Tea Time studies in your homeschool, you can see our post here. Hope y’all enjoy, as Charlotte Mason did, surrounding your children with an atmosphere of quality poetry, art, and music. If you have a particular request for a Tea Time study, leave us a comment and we’ll see what we can do. As Independence Day approaches, I thought it appropriate to introduce the artist who painted over 300 portraits of men, women and children living during the Revolutionary period. John Singleton Copley was born on July 3, 1738 in Boston, Massachusetts to parents of Irish descent. His father died when John was a young boy. When John was about ten years old, his mother married Peter Pelham, an artist, teacher, and dance instructor. While there are no official records, it is likely that John received his schooling, and appreciation for art, from his stepfather. In colonial America, there were not a lot of opportunities to see or create art. Young John often complained that there were no properly executed examples of art from which to learn. In spite of that, he did learn at a very young age to draw, paint, and engrave, and his portrait work became salable long before he was of age. Wanting to advance his skills beyond painting with oils, John had to special order pastels in from an artist friend in Switzerland. By the 1760’s John Singleton Copley began painting portraits of famous and not-yet-famous colonials, and the money he earned was extraordinary for his town and time. People such as Paul Revere, Samuel Adams, and John Hancock came to his painting room to sit and have their portraits done. One trait that set Copley’s portraits apart from others was his inclusion of objects depicting the individuals’ lives. He had the ability to reveal not only the sitter’s physical characteristics, but also his personality, occupation, and social position. Copley married Susanna Farnham Clarke on November 16, 1769. They had six children, and lived in a picturesque house in Boston on Beacon Hill, where he painted the portraits of dignitaries of state and church, graceful women and charming children. As the political and economic conditions in Boston worsened, with the Boston Tea Party and threats against Loyalists (those such as Copley’s family who were loyal to the Crown), Copley decided it best to move to Europe in 1774, with his wife and children joining him in 1775. His reputation as a painter followed him to Europe, where Copley quickly reestablished his career. He also expanded his portrait painting to painting pictures of historical places and events. Between 1776 and 1815 he sent forty-three paintings to exhibitions of the Royal Academy. On September 9, 1815 John Singleton Copley, the greatest and most influential painter in colonial America, died from a stroke. A portrait of your own! What is a portrait? A portrait is a picture of someone that usually includes only their head and shoulders, but does sometimes include the whole body. A well done portrait tells you more about a person than what he looks like. It will show emotion, character, and as Copley showed in his paintings, the occupation and/or social position. When choosing your model, make sure it is someone who can sit still while you draw. Gather some items that would identify that person. Place a musical instrument in the hand of a musician, or a soccer ball under the arm of a sports nut. Draw the portrait trying to portray as much of the person’s feelings and character as possible. You can follow these step by step instructions, if you’d like. If you post your finished portrait on your blog, please share your link here so we can all enjoy your artwork! This website to view the complete works of John Singleton Copley. 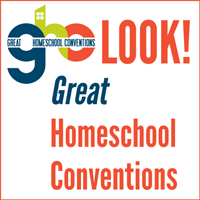 Pick a unit study or lapbook from Homeschool Share’s American Revolution Connections Page. Indulge yourself, as the Copley’s may have, in a Boston Cream Pie, or for an added twist, Boston Cream Pie Cupcakes.